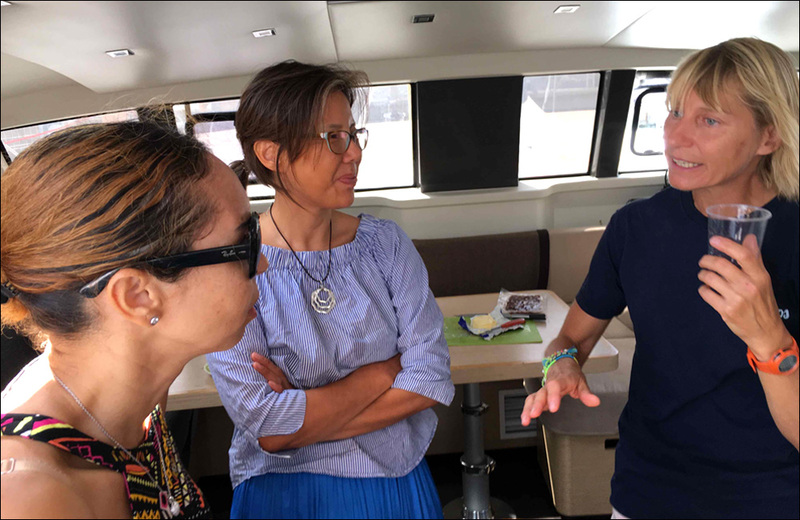 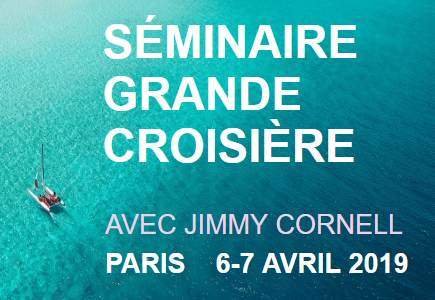 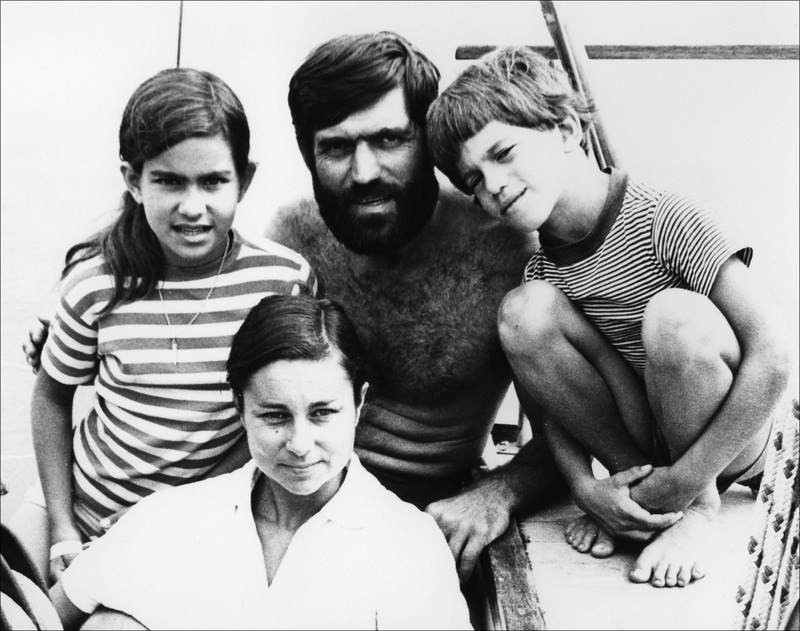 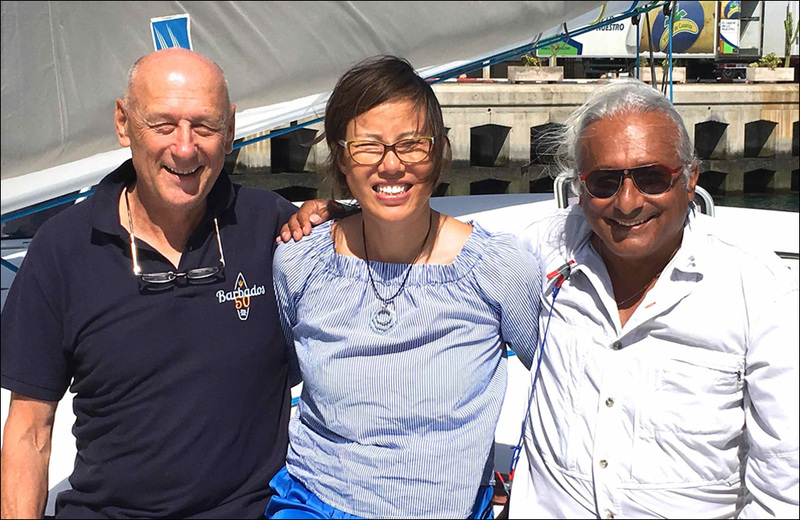 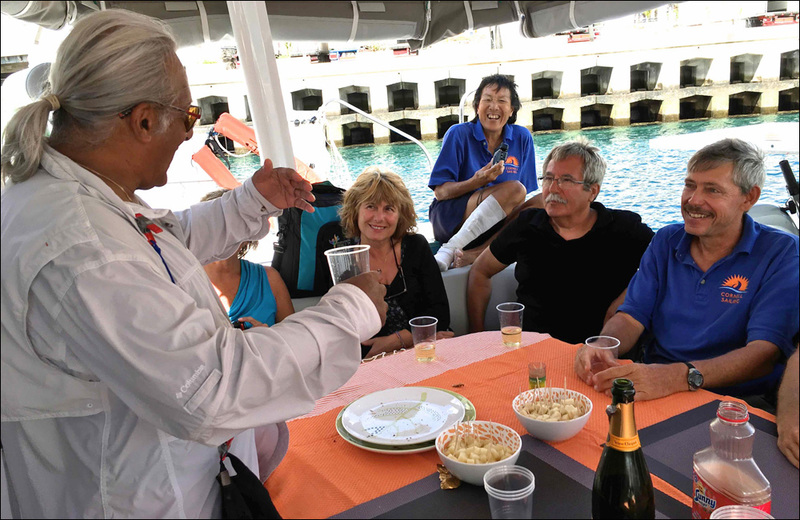 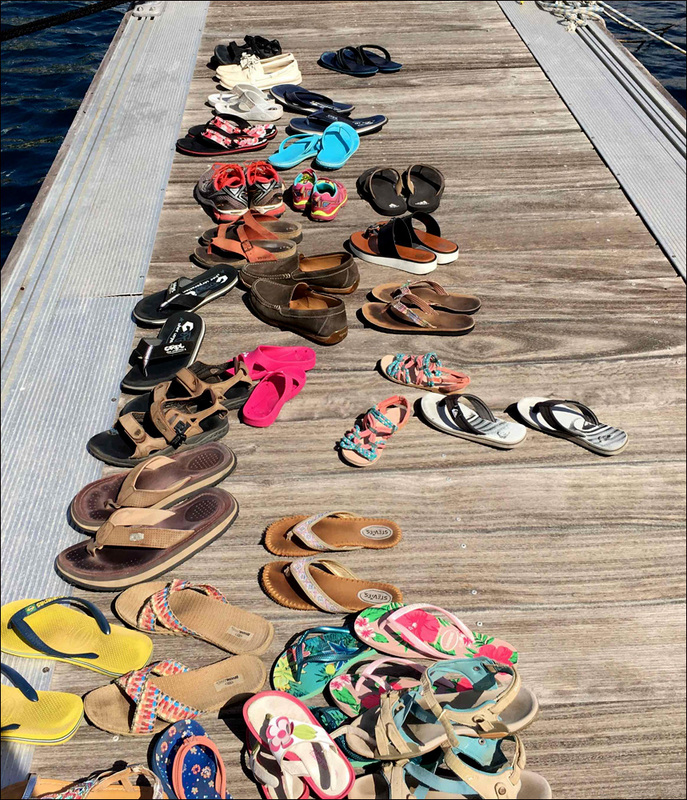 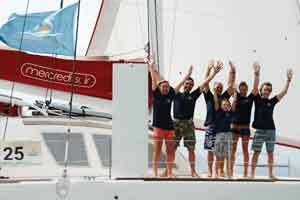 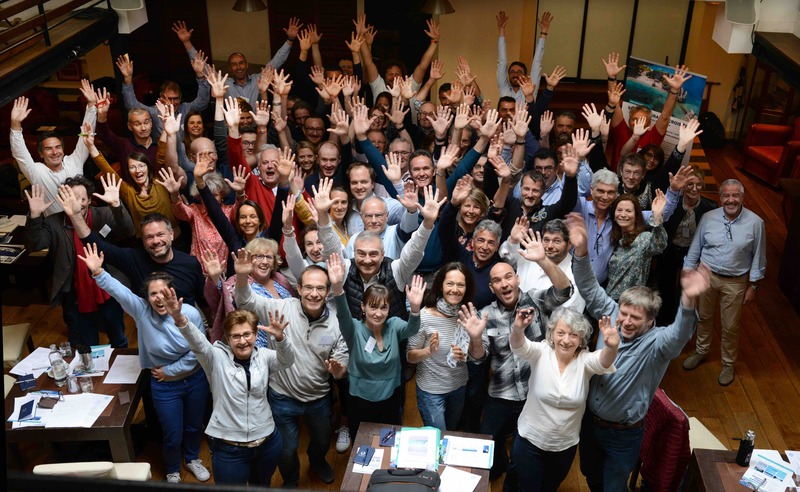 Never to miss such an opportunity, Jérôme and Kelly of Jiyu invited all participants to a birthday party on their catamaran, the generous size of this Outremer 51 somehow managing to accommodate all adults… as well as their assorted children. 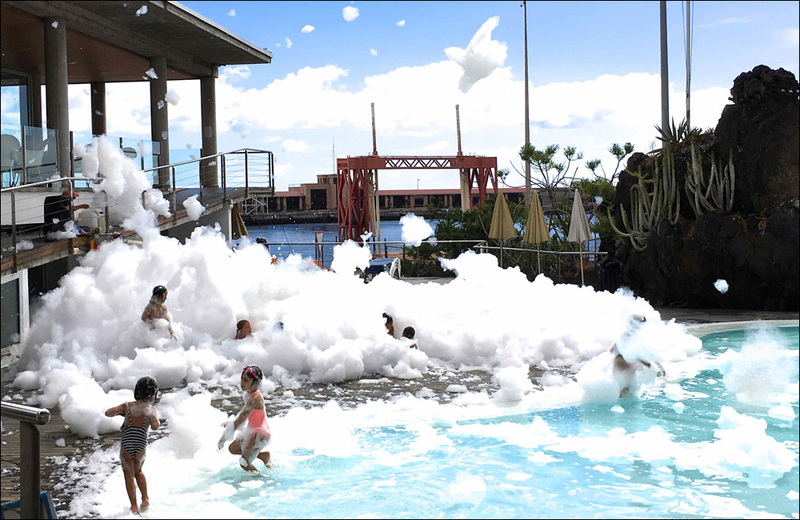 … while the children were invited to a fun day … supplied by a foam canon! 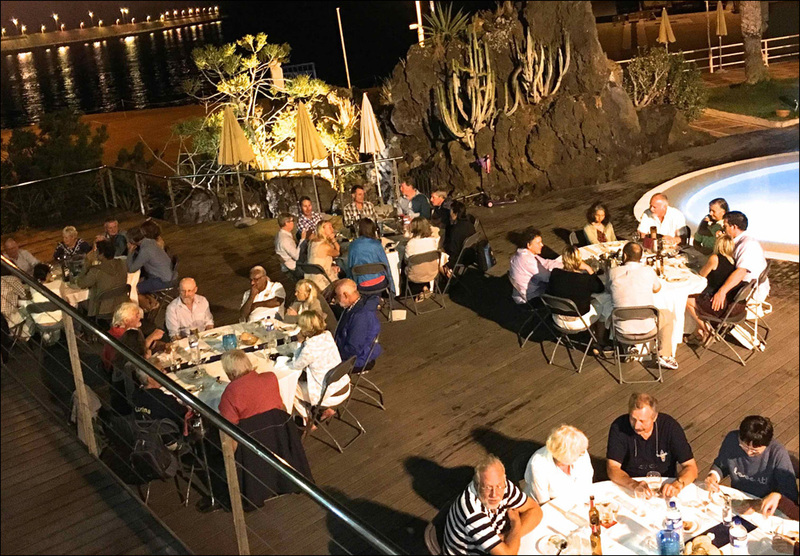 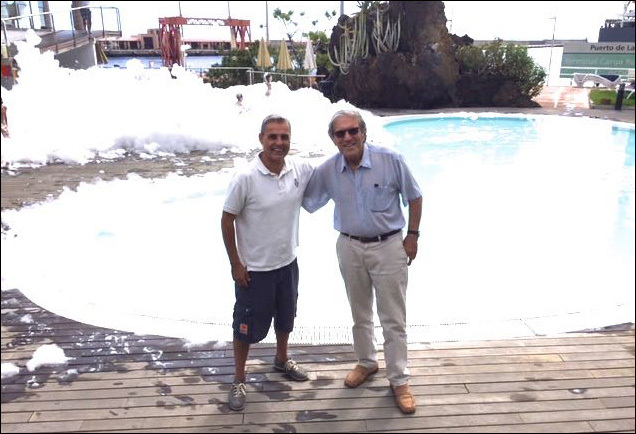 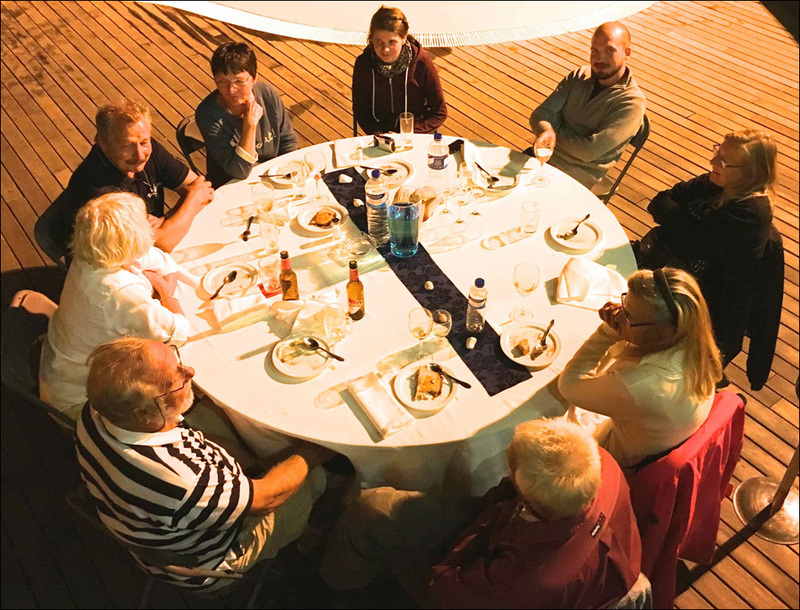 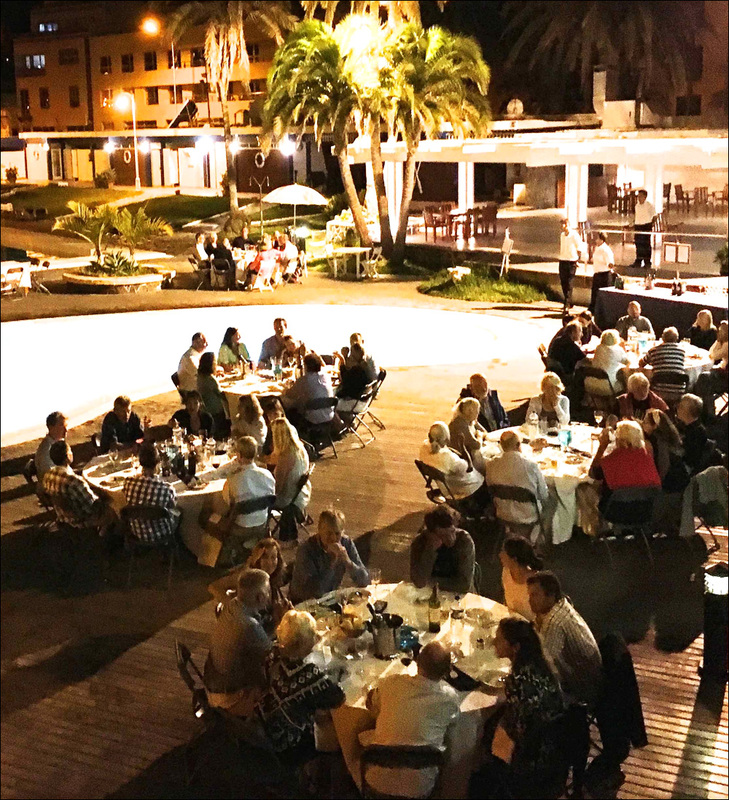 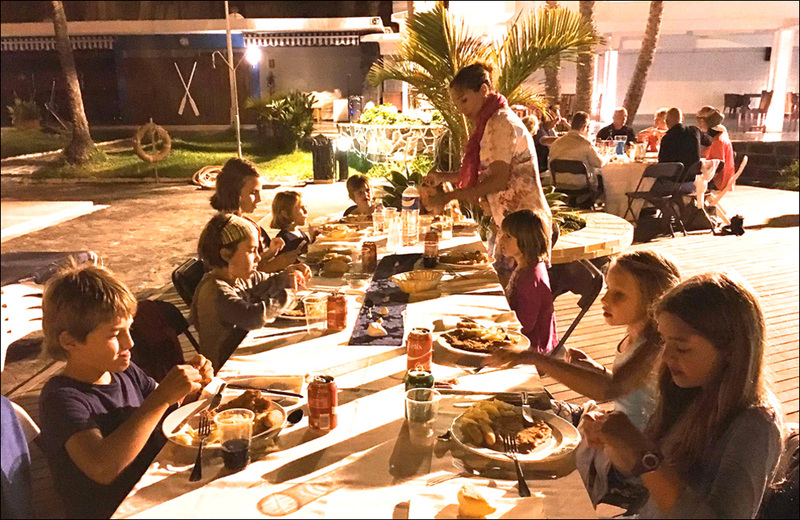 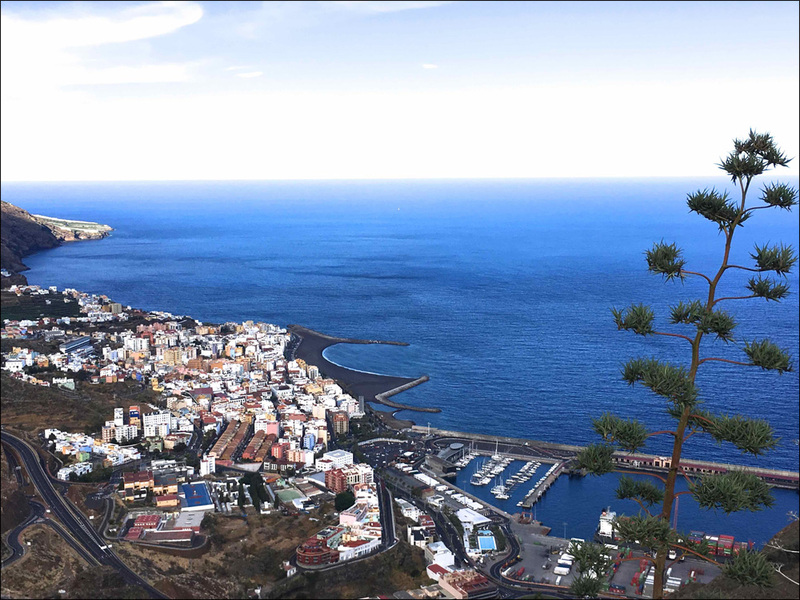 With the two fleets coming together in La Palma, all participants were invited to a dinner party, the tables laid out around the kidney-shaped swimming pool… shaved of foam for this festive occasion! 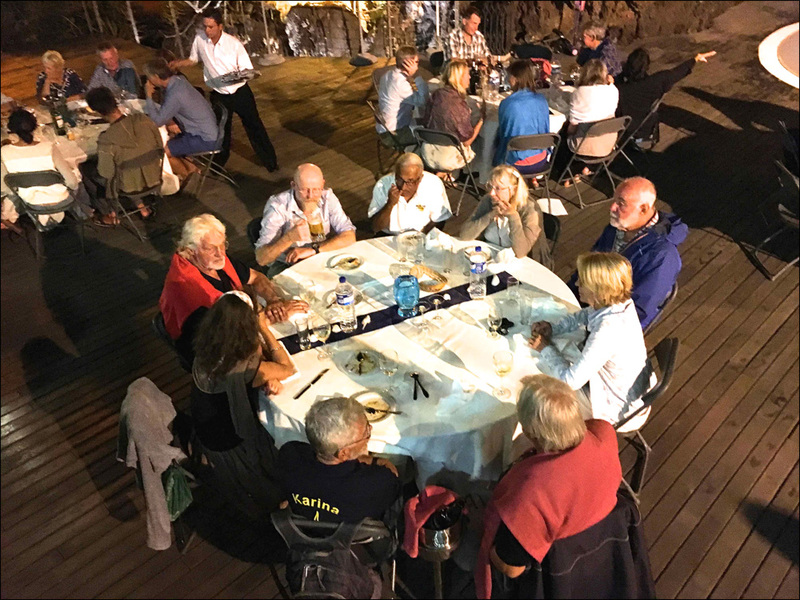 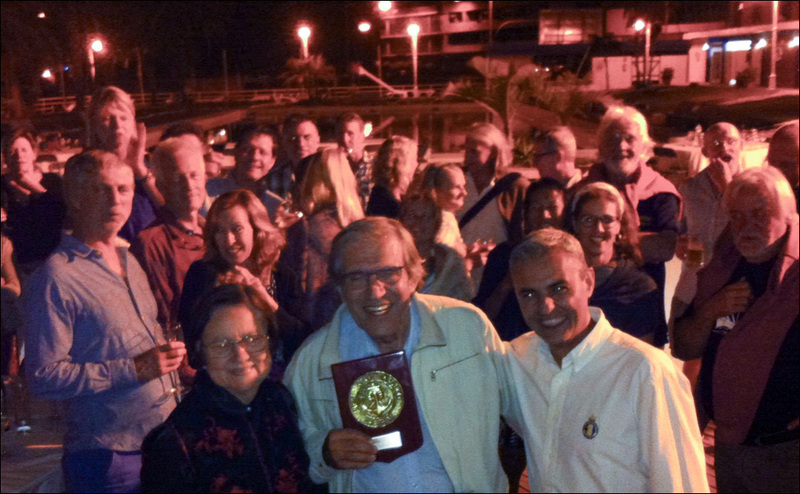 The grand finale of the evening took everyone by surprise, when Pepe Jaubert presented Jimmy Cornell with a beautiful souvenir plaque commemorating the 40th anniversary of Aventura’s departure across the Atlantic from that very spot in 1976, at the start of her round the world voyage.